A former BBC journalist, Tim also co-wrote the script for 2017’s Eurovision Song Contest in Kiev. He has TV projects in development with Anonymous Content (US) and Avalon. Other TV and radio writing credits include 10 O’Clock Live (C4), Listen Against (R4) and A Different Breed (Sky One) and script commissions for Roseanne/Cosby Show producer Caryn Mandabach. He also wrote the animated short film The Yowie and the Magpie which was nominated for the McLaren Animation Award. 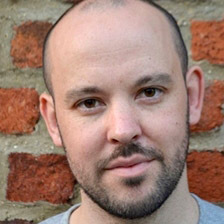 He has appeared as a guest at Hay Festival, Edinburgh Festival of Politics and on various BBC Radio series.